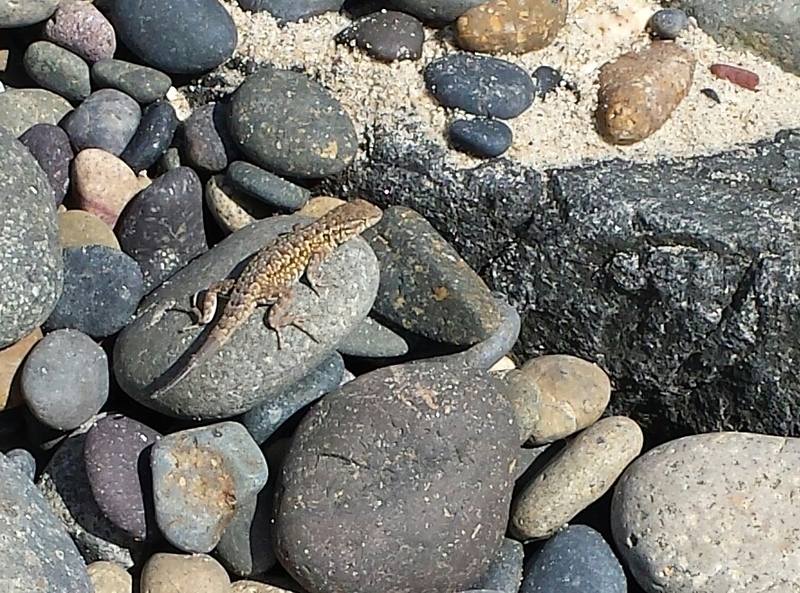 We heard chirping from the cliffside, and it might have been two geckos talking. It would have been my parents’ 68th anniversary today. It is the first night of Passover. It is my Hebrew birthday. Only a little solace offered by the ocean. I feel steeped in sadness again. I am going to visit my sister tomorrow. She is facing some new challenges. We will cry together — and probably laugh a lot too. That will help. I blink. Most geckos cannot blink.